AAmazon Echo is a hands-free smart speaker which you can control with your voice from quite a distance. 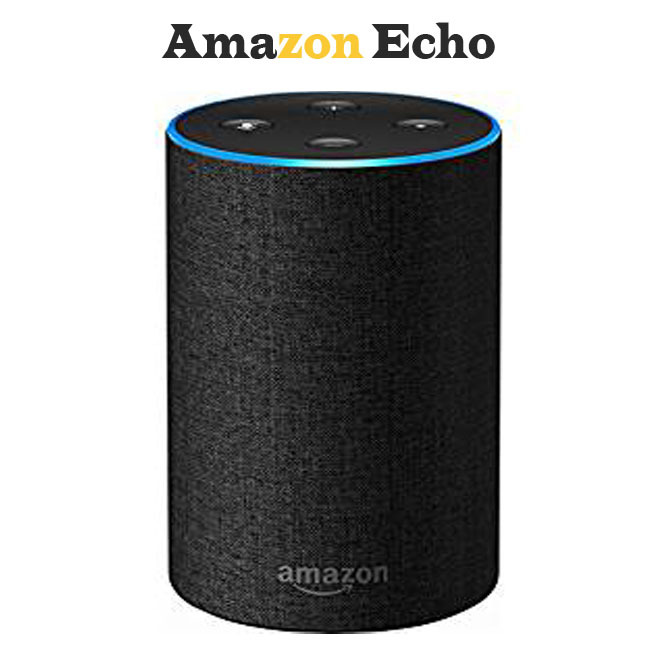 The Amazon Echo is connected to a voice-controlled Personal assistant, ALEXA, which takes the commands to play music, make calls, set alarms, send and receive messages, provides information, news, sports scores, weather and many more. With your command, it can also control many electronic devices such as Bluetooth, Wi-Fi, 3G and so much more. Amazon Echo also acts as a home domotics. The Amazon Echo device is optimized for hands free use. It’s optimized in a sense that Echo has an in built microphone programmed to understand human speeches anywhere in a room. The amazon echo device is also a speaker that enables human hearings response, like music, news and other audio from anywhere in a room. Echo is designed for the use of anybody in a room, unlike other speaker devices and smartphones making it possible for a specific person. Play music: Amazon Echo allows you to play your favourite music on Pandora, iHeartRadio, and Spotify. Go to amazon.com. In the upper right side, you will see a menu tagged ‘Account and Lists’. Then you click on the ‘Start here’ beneath the yellow ‘Sign In’ button. The registration form will pop up and ask for your name, Email and ask for you create a password and re-enter it. When you have filled in all the information on the form, click on ‘Create Account’. After filling the form, you will be asked to verify your email by providing the code that was sent to you to verify your account. After verifying your email account, you will be automatically signed in to the Amazon page. Search the amazon platform for “Amazon Echo”. Choose the generation you want to order for by clicking on it. Click on “Buy now” from the right side bar. Add your address and click on “Deliver to this address” at the bottom of the page. After your order, you will wait for a few days or weeks for your delivery.